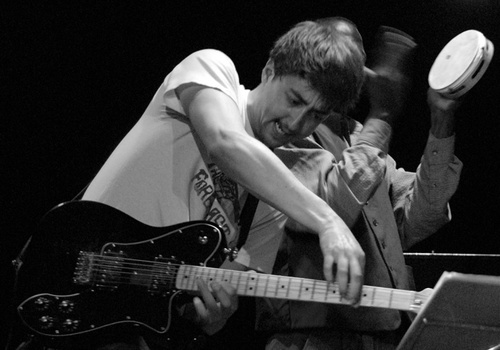 Saturday June 20, 11:30 PM @ the Ironworks: Aram BAJAKIAN and Julia Ulehla’s Dálava. Sunday June 21 @ the Vogue, 7PM, the Aram Bajakian Trio opening for Snarky Puppy. Saturday, June 27 @ 11:30 PM. Music Inspired by theColor of Pomegranatesat the China Cloud. June 22 with the singer Ayelet Rose Gottlieb. June 24 with Handmade Blade, Peggy Lee on cello and JP Carter on trumpet. 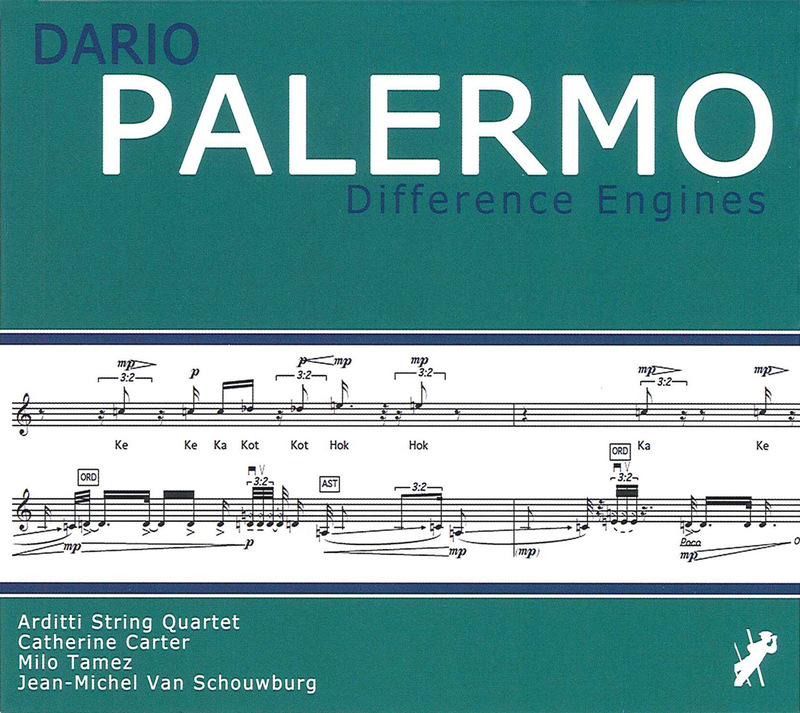 This, the first CD dedicated entirely to work by composer Dario Palermo, features three substantial electroacoustic works written between 2009 and 2012. Palermo (b. 1970) has been involved with the use of new technologies in music since the early 1990s. His background includes studies with Giorgio Colombo Taccani and Giovanni Verrando and others, including Gerard Grisey, as well as in orchestral and chamber performance. His work, as typified in the three pieces presented here, is built around the confrontation of electronics with acoustic instruments or the human voice. RO-Premiére danse de la lune (2012), the newest composition represented here, is for amplified drum kit and real-time electronics. The individual pieces of the kit are treated as separate instruments within an ensemble, each of which can be differentiated in terms of their characteristic ranges and timbres. The electronics tend to enhance rather than erase the sonic signatures of the drums and cymbals—there’s added resonance from reverb or delay but very little outright dismantling of the native sounds. Percussionist Milo Tamez leverages both conventional and expanded techniques in order to explore the available timbres to the fullest extent, often exploiting color variety by opposing the high and low frequency sounds of cymbal and tom-tom. The nearly half-hour long The Difference Engine (2010-2011) is, fittingly, the centerpiece of the recording. This work for amplified string quartet with real-time electronics and mezzo soprano served as the soundtrack for a multimedia theatrical production, also called The Difference Engine, staged in London in October 2011. The piece, given a bravura performance by the Arditti String Quartet, is a fragmentary yet coherent construction of more or less saturated passages of arco and pizzicato playing, many of which make dramatic use of the instruments’ extreme upper registers. Microtones and glissandi make for a highly fluid tonal ground constantly shifting underfoot. Mezzo soprano Catherine Carter, who appeared in the London stage production, blends in with the strings as a kind of fifth instrument, playing with and against the strings’ lines. Trance-Five abstract stations (2009) for the solo voice of Jean-Michel Van Schouwburg and live electronics is in a sense the mirror image of RO. Just as the latter piece employs electronics to underscore the essential sound of the drum kit, Trance uses them instead to distort and rearrange the voice—to alienate it from itself as it were, and make it into an abstract other. Sunn O))) have uploaded more than 60 “tapers’ & fans’ audience recordings,” promising “raw & live” sets from the group’s archives. Some of the shows date back to 2002, and concerts from around the world are included. Head to Bandcamp to stream/download your favorite shows. Last we heard, the group was working on a new album this year to follow up 2014’s collaborative albums with Norwegian experimental collective Ulver and veteran musician Scott Walker. Jenny Scheinman returns to the hallowed New York City jazz mecca, Village Vanguard, for a six-night engagement running July 21 through July 26. The acclaimed violinist, composer and bandleader will be leading a new quartet specifically assembled for these performances that presents old friends and longtime collaborators: pianist Myra Melford, saxophonist/clarinetist Doug Wieselman and drummer Rudy Royston.